I'm going on a vacation for my birthday! I'm excited. One of the most important things to bring with me will be sunscreen. 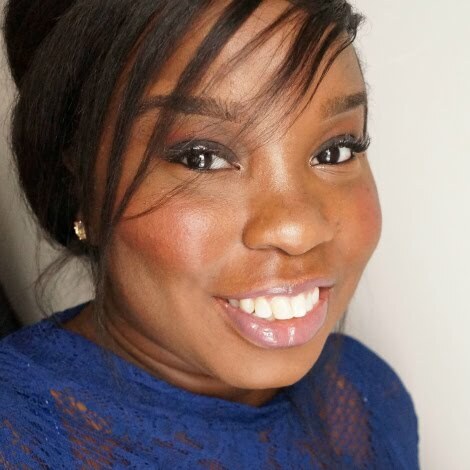 As a WOC I am still prone to sunburns and skin cancer. For the past three weeks, I have been trying out brands to bring with me. 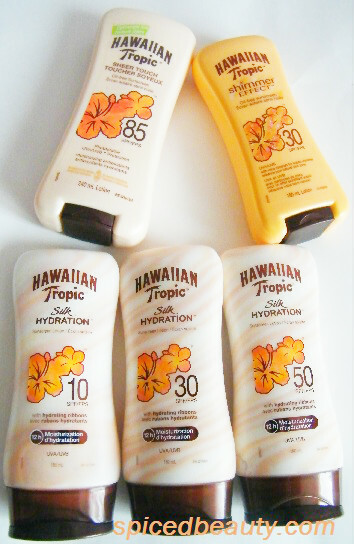 The Hawaiian Tropic® does it. Plus they have something for everyone! Uses mica mineral shimmer to highlight skin tone, allowing you to look your best while keeping your skin safe from the sun. This one is the most glamorous of the bunch. Did you know that gold shimmer is the perfect way to hide skin imperfections! Try it on your stretch marks and scars. The unique hydrating ribbons replenish moisture for up to 12 hours, allowing you to pamper your skin while providing protection from the sun’s UVA and UVB rays. 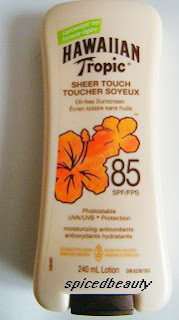 If you find sunscreen dries out your skin, try this one! The moisturizing swirls really helped my legs from not drying out through out the day. I should add that the hydrating ribbons are infused with silk protein and shea butter. To ensure maximum protection from the sun’s intense rays, this surprisingly lightweight sunscreen provides photostable UVA and UVB protection while seducing senses with its signature tropical fragrance. I'm bringing this one for sure because it's light weight, waterproof and grease free. 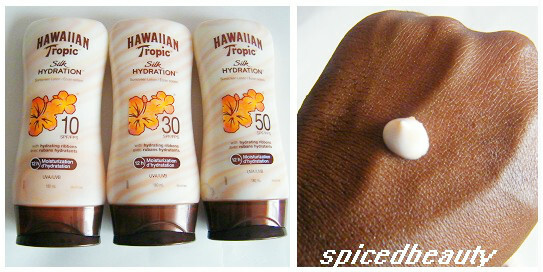 I'm happy that these have that signature Hawaiian Tropic® coconut fragrance. 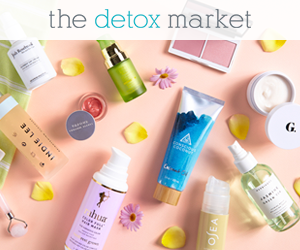 Prices range from $9.99 to $11.99 CDN. I never go without sunscreen. My fav for the Body is Rexall's Sun Assist- oil free, coconut twist. Lovely smell!! I am going to check out a few of your choices. I'm running outta my Neutrogena spray body shield so I will try this one next, the coconut smell sounds amazing. The SPF85 is definitely coming home with me. Hmmm I use Neutrogena age face shield. I've always looked at Hawaiian tropic but never bought it since I'm so used to Neutrogena. I would however like something lighter. I'll have to try this out. I see duane reade has a brand named 'prevail'. I also want to try that. Thanks for the review. My skin thanks you! I am the sunscreen queen. I tend to burn very easily so it is a must for me. I wish more black women would realize how important sunscreen is and use it! Maybe now, they will. AWW your comment made my day! I always use sunscreen on my face but only use it on my body when I go on holiday. I'm always cold, so I'm almost always in long pants and long sleeve shirts (year round!) unless I plan on being outside the whole day.